Here at FitFest Oxford, we are all about creating an event that brings wellness and fitness inspiration including experts, interviews, food and beauty demos, fitness classes and much more. 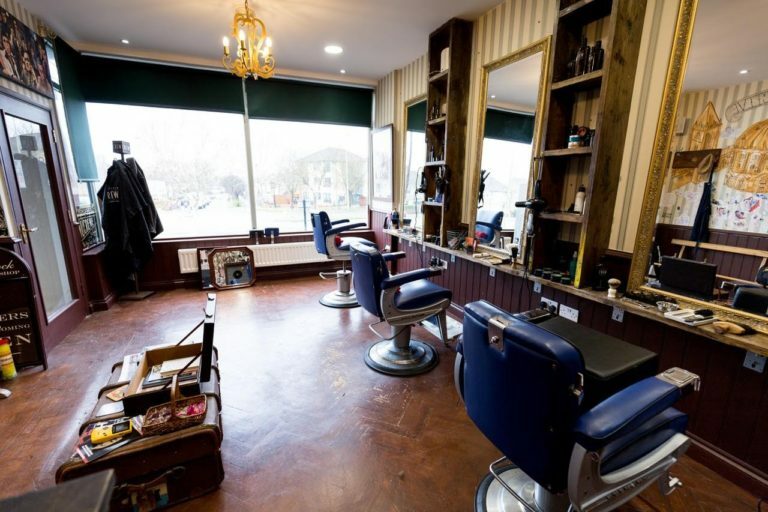 For those wanting to experience a haircut a bit more intriguing than your regular barbershop, please come and meet The Marston Barber at FitFest Oxford. Advise o’clock: must follow them on Instagram!! The success of the business is undeniable! Two brothers started the business in 2013 with a shop in Woodstock. Since, they managed to grow the business into three shops and a team of nine which means, that you don’t really have an excuse not to visit one of their three local shops in Marston, Woodstock or Eynsham! “Health is the New Wealth.” In our shop’s, we feel we have a moral obligation to stock organic and health-focused products. FitFest Oxford’s team understands that some of you could be thinking “Well..so far you’ve exposed their view of the business so..” and this is exactly why we have taken the time to carefully choose some of their customer’s testimonials. We are going to let those statements convince you that you have a date with The Marston Barber at FitFest Oxford 2018! However, we do understand that the statements you are about to read could make you want to book an appointment on their website even before the event! Either way, we would be very very happy! Testimonials to follow. It’s not easy to find a trustworthy barber in today’s climate. The Talbot brothers and Co. always deliver over and above expectations. With an atmosphere not dissimilar to the comfort of your living room; there is always a sense of competency in their work. Not only the high-quality haircuts that are produced but the ‘extra mile’ element the guys seem to go that makes your haircut a memorable occasion, consistently. As a member of an FTSE 250 business, I wouldn’t be surprised to see this business go to new heights…. the question is, how far? To say quality is an understatement! A must for any haircut connoisseur I cannot recommend this establishment highly enough! Really happy with my haircut and how good and welcoming the barbers are! A huge amount of care and attention was put into my cut – much more than I am used to – I hope to be back again soon! Thanks, guys!! I recommend The Marston Barber to anyone! Convinced? You must be! So please register your interest to attend FitFest Oxford, meet the guys and, of course, be prepared to look dapper! The guys will be bringing a Barbers chair, offering haircuts and showing their organic product selection!